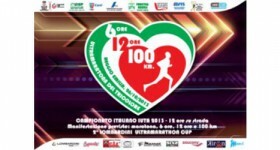 18th Ljubljana marathon is THE event to be at for all Slovenian recreational runners. The biggest sports for all event in the country. On this weekend, October 26th and 27th 2013, almost 15.000 runners of all generations will join some of the numerous events from children’s and fun runs to half marathon and full marathon. Among them will be some familiar names from ultrarunning community. Some of them will be helping fellow runners as pacemakers – popularly called the rabbits. Today, on Tuesday, October 15th 2013 runners have started their journey from Zagreb to Vukovar in Croatia. Their trek will take them on a 344.1 kilometers long voyage. 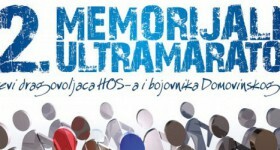 The race is held by the Association of Croatian War Veterans in the remembrance of all the victims during this war. 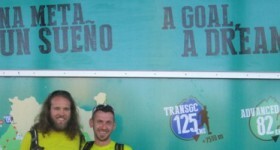 Slovenian runner Miro Režonja will join the race and try his best. He is a veteran of this event and is well prepared to finish it in style. Belgrade and the organizers from Sri Chinmoy Marathon Serbia Team will host 17th Ultramarathon of Self Transcendence this weekend, from October 5th to October 6th 2013. The races will be held at the Ušće Park on the exactly 2 kilometers long course. 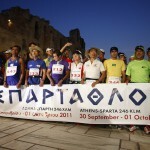 participants can choose to enter 6 hours, 12 hours and 24 hours runs. There is also an 12 hours relay event available. Planina is a small hill above Vrhnika. On Saturday, the 5th of October 2013 it will be occupied by a select group of ultrarunners. They will start their Ultra Workday as the event has been named by it’s founder Marko Perko. The goal is simple. Get to the top and back to starting point and back to top and … as many times as possible in 8 hours. The height difference is 430 meters and the course is 3,5 kilometers long. First edition was held last year on September 29th. Top worker, titled director, was Alen Božič who managed to get to the top 11 times in 7 hours and 33 minutes. That’s around 4730 height meters and 38,5 kilometers. Amazing.